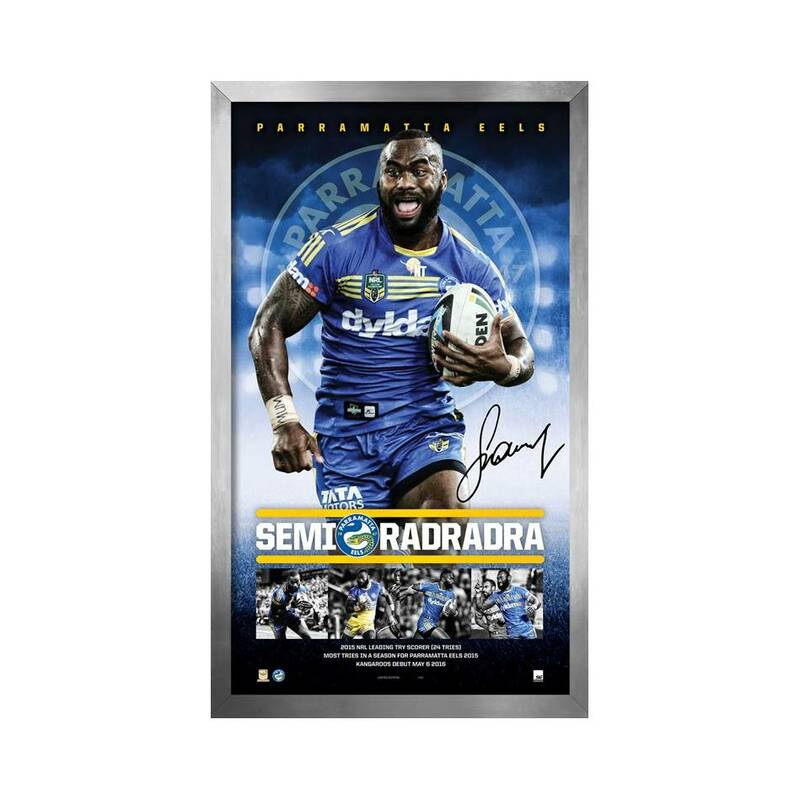 Official Memorabilia, in conjunction with the National Rugby League, is pleased to offer this personally signed tribute to the record-breaking Parramatta and Kangaroos winger, Semi Radradra. Each edition is personally signed by Radradra and comes third-party authenticated. Officially licensed and endorsed by the NRL, it marks the first time Radradra has been recognized as such for his stunning career and contribution to the Eels thus far. For his first licensed tribute, only 100 editions of ‘Semi Radradra’ are to be produced – so secure yours before they sell out!